Microsoft released the new 14279 build for Windows 10 Preview last week. While the build brought some nice improvements centered on Cortana functionality, it also caused some problems to some Insiders who installed it. Although the build brought on some issues, we can safely say that build 14279 isn’t the most troublesome build so far, as previous builds caused a lot more problems. Still, these errors can be very annoying so Microsoft should start working on a solution as soon as possible. One of the most common problems with Windows 10 Preview builds is the problem with installation — we’ve mentioned it numerous times before and we say it again. 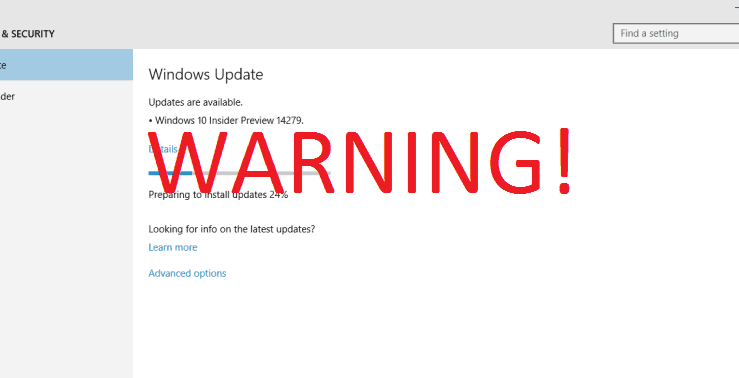 One user complained on the Microsoft Community forums that installation freezes when installing “features and drivers, usually at 49 percent.” Microsoft hasn’t provided a proper solution for this problem yet so if you’re encountering this problem as well, we advise you try running the WUReset script for a possible solution. If you try the script, let us know if it was successful in the comments below. 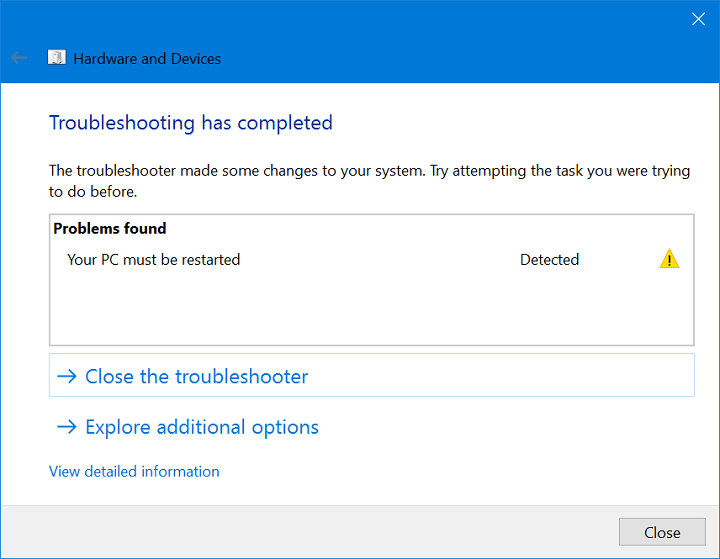 Another reported problem is with the Hardware and Devices Troubleshooter, which requires a restart even if no hardware problems are found. While Microsoft support engineers suggest running a sfc/scannow command, no proper solutions are available quite yet. Unfortunately, a couple of users complained on Microsoft forums that running the sfc/scannow command doesn’t work. 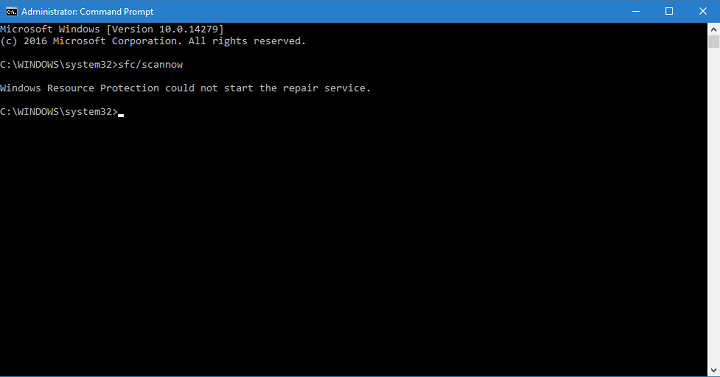 Apparently, when users try to run the command in the Command Prompt, a “resource protection couldn’t start repair service” message shows up. (We ran the command on our computer running the latest Windows 10 Preview build and received the same message! We tried running a DSIM but that didn’t get the job done, either. For now, the only solution is to wait for Microsoft to fix the issue in the next build. And finally, one user reported that “Safely Remove Hardware fails to remove 1TB Toshiba Canvio Basics USB 3.0 & 2.0 External Hard Drive.” But unlike the issue with the sfc/scannow command, this issue’s only affects some users. If you’re having a problem with this feature as well, try using the instructions from our article about problems with Safely Remove Hardware feature for a possible solution. If you’re still having issues on your PC or you simply want to avoid them for the future, we recommend you to download this tool to fix (100% safe and tested by us) various PC problems, such as file loss, malware and hardware failure. Let us know if you experience more issues with Windows 10 or if you have any solutions for the ones listed above in the comments below!